Flowers of a Platycodon grandiflorus 'Astra Pink' plant. Platycodon grandiflorus is commonly known as the balloon flower because of the way its flower buds swell up like a balloon before they open. 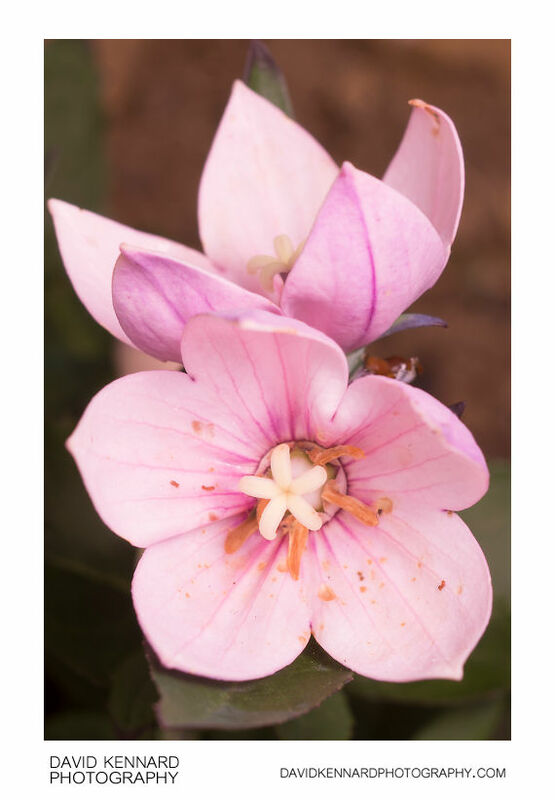 The Astra Pink cultivar has light pink coloured petals. The five petals, which are joined at about half their length, form a star shape when the flower is fully opened.